Home / Events / Congratulations Girls! Will-Moor Gymnastics adds two more gymnasts to their long list of college rosters. Wednesday, November 12 was the official date to sign the National Letter of Intent (NLI) across the country. This NLI is a binding contract where the student-athlete ends the recruiting process with all other institutions and commits to a school for one year. Congratulations to Danielle Doolin Level 10 gymnast and receiving a full athletic scholarship. 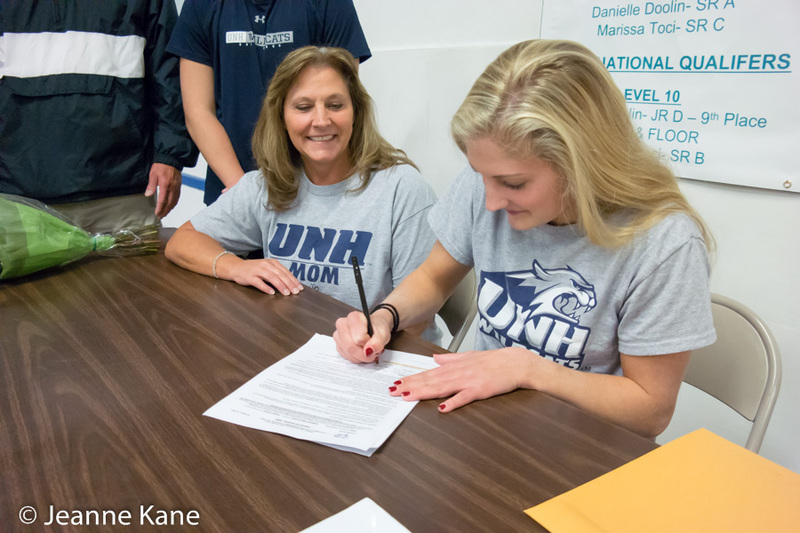 She will be competing for the University of New Hampshire starting next season. And congratulations to Neysa Gay-Hall a USAIGC gymnast receiving a partial scholarship for NCTA Tumbling and Acro to Alderson Broaddus University.